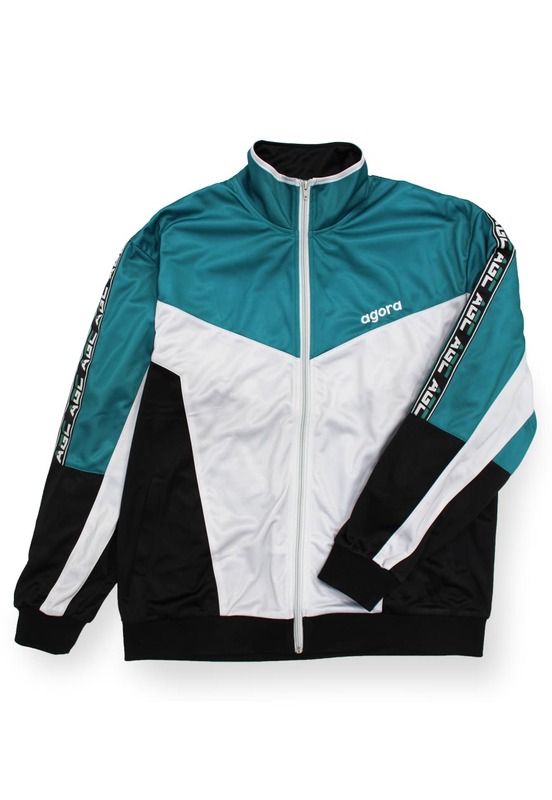 Agora Victory Tracksuit Jacket in black, green and silver. Fleece lined poly zip up track jacket with side taping. Generously sized, regular fit jacket.